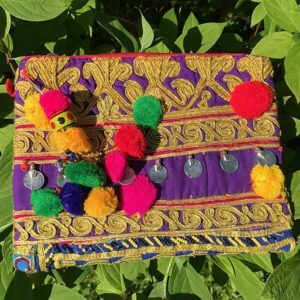 Vintage Multi-Coloured Indian bag with Antique metal coins and Pom Pom Tassel. 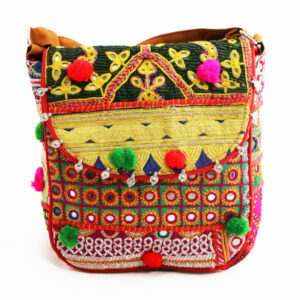 Indian Bag made of Vintage Banjara Fabric with antique metal pendants. The shoulder strap can be adjusted, the bag closes with a magnetic closing and has a zipper under the flap.